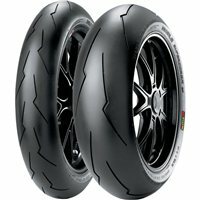 Whether you're looking for all purpose motorcycle tyres or specialist track tyres, here at Tyrecare (St Helens) Ltd we stock a wide range of budget and performance motorcycle tyres. Our specialist and highly trained fitters can fit them at a time and place to suit you. If you have any questions or you are unsure of what tyres would suit your purpose best, why not call and talk to the experts as we have many years of experience within the tyre trade.